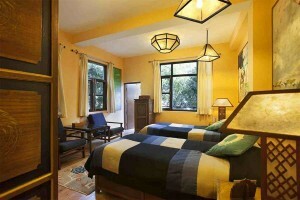 Use the form below to inquire about Heritage Homestay At McLeod Ganj . Use the form below to reserve for Heritage Homestay At McLeod Ganj . 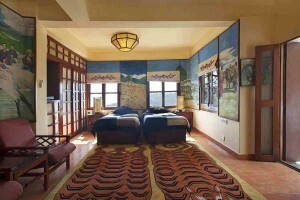 Located on the first floor, this room has twin beds and an attached balcony. 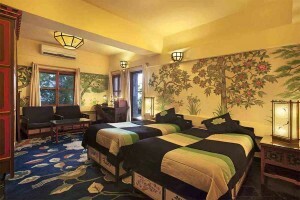 Located on the second floor, this room has twin beds which can be converted to a king size bed and an attached balcony. 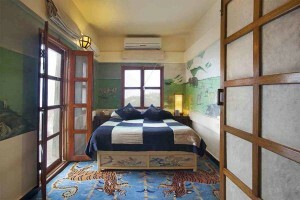 Located on the first floor, this room has twin beds which can be converted to a king size bed and an attached balcony. 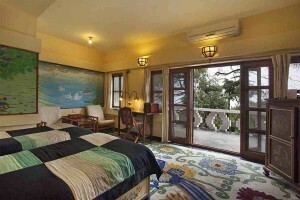 Located on the second floor, has one queen bed and an attached balcony. 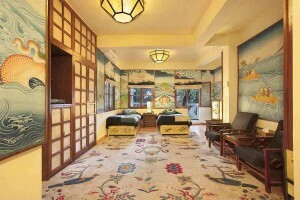 Located on the second floor, this room has one queen bed and an attached balcony. 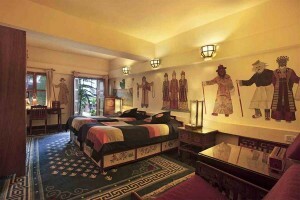 Located on the first floor, this room has twin beds that can be converted to a king size bed and an attached balcony. Located on the ground floor, this room has twin beds which can be converted into a king size bed and a private door opening onto a terraced garden. 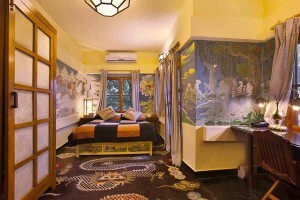 Located on the second floor, this room has twin beds which can be converted into a king size bed and an attached balcony. 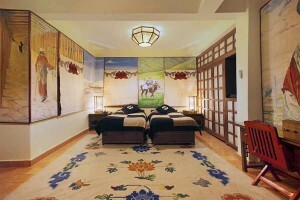 Located on the second floor, this room has two twin beds which can be converted into a king size bed and an attached balcony. 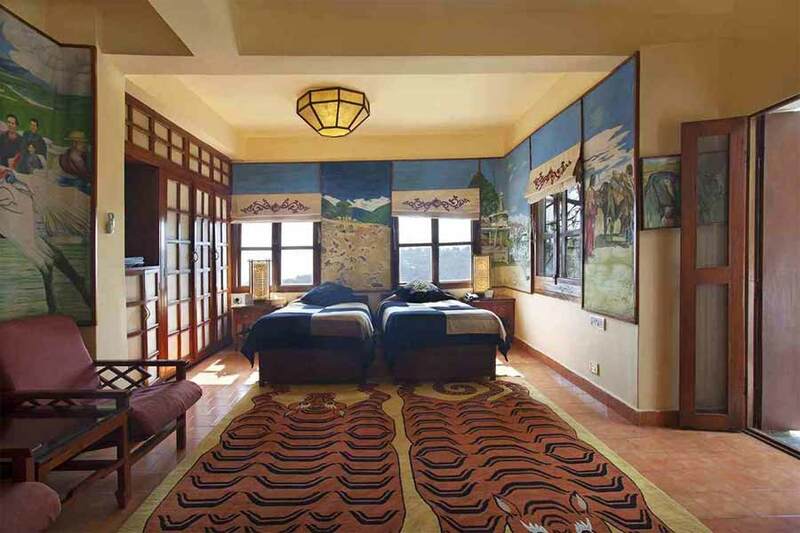 This Heritage Homestay at McLeod Ganj, made of stone and slate, is designed by a renowned British architect. Pine and cedar trees provide the perfect backdrop to this Heritage Homestay at McLeod Ganj wherein rooms and suites are delightfully named after flora and fauna. Some of the names relate to Tibetan regions which are not surprising considering the homestay is located at the heart of the Tibetan headquarters in India. 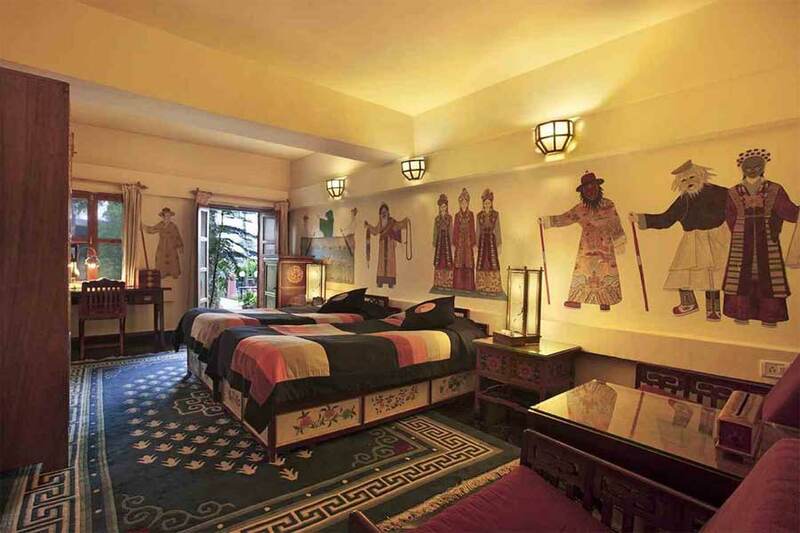 Situated just a stone’s throw away from Dharamsala and the residence of The Dalai Lama, this Heritage Homestay at McLeod Ganj features art and craft by artisans in exile from the Himalayan kingdom. Handmade wooden furniture with intricate carvings, appliquéd linen and fabrics, hand-knotted carpets, and Thangka wall paintings adorn the interior of this homestay emphasizing the rich culture and legacy of the Tibetan people. There is also a boutique on the property selling similar art pieces and items of clothing should you want to take home some unique souvenirs. 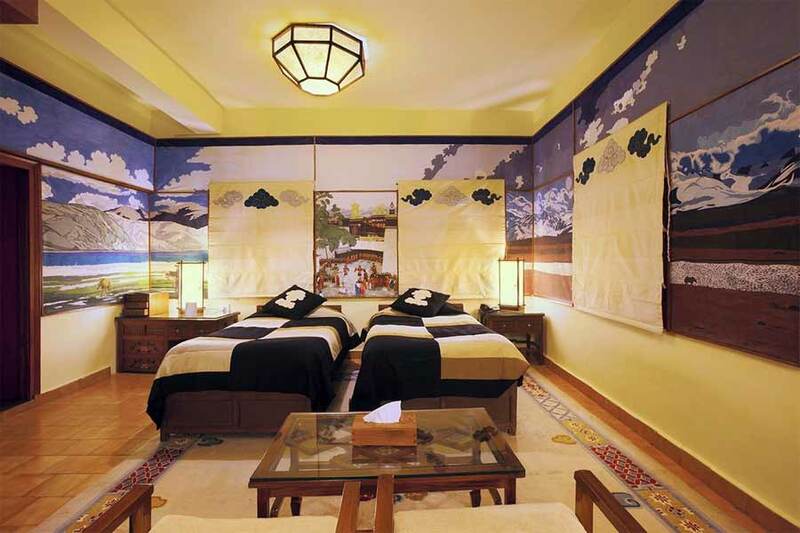 The well-kept rooms all come with air conditioning and heating, as the weather dictates. A mini bar, a hot water thermos, and complimentary tea bags, free wi-fi, as well as balcony or terrace are standard features of every room on this property. All rooms on this eco-friendly property are non-smoking. A cyber café is also available should you feel the need to attend to official matters. 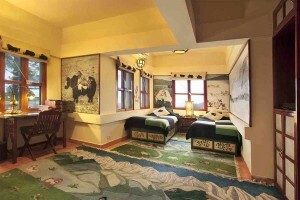 The in-house restaurant serves a variety of cuisines cooked up from fresh ingredients. From handmade ravioli to Vietnamese dishes and traditional Tibetan fare, enjoy your meal as you gaze upon the spectacular views. 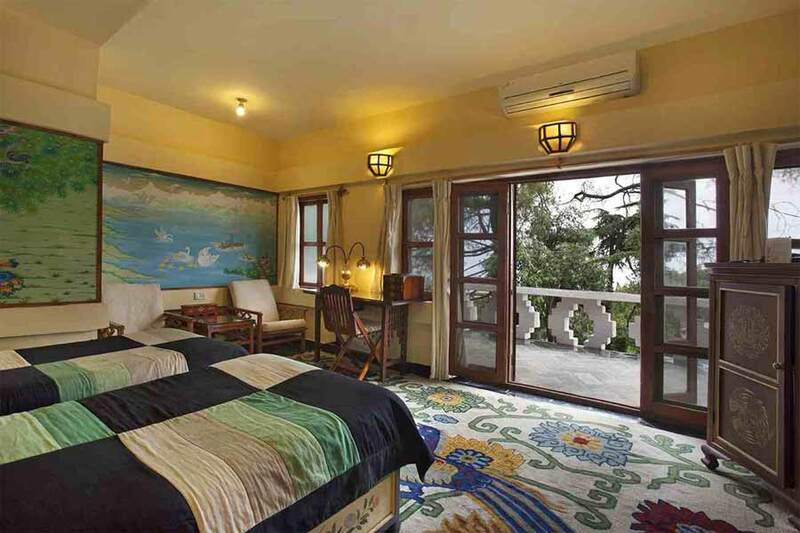 The attentive staff at this Heritage Homestay at McLeod Ganj is always on hand should you need the help of guides or transportation to explore your surroundings. Outdoor activities that await you include nature walks, trekking, and sightseeing trips to the many natural and man-made wonders in the region. You might also want to try your hand at some form of Tibetan art through one of the workshops that are regularly conducted in the vicinity of the homestay. Extra bed/person chargeable @ 25% of room tariff. Breakfast, lunch, and dinner available at additional cost. A government approved identity document is required at the time of check-in. The full payment should be made one month ahead of guest check-in. If payment is not received within a limited period then cancellation charges are applicable. Check-in is at 1 pm and check-out is at 12 pm. In case of cancellation of individual rooms from 90 days to 30 days before the check-in of the booking, there shall be no retention. In case of cancellation of individual rooms from 30 days to 15 days before the check-in of the booking, the management reserves the right to charge the individual 40% from the total amount of room billing inclusive of taxes as retention. In case of cancellation of individual rooms from 14 days to 10 days before the check-in of the booking, the management reserves the right to charge the individual 50% from total amount of room billing inclusive of taxes as retention. In case of cancellation of individual rooms from 09 days to 05 days before the check-in of the booking, the management reserves the right to charge the individual 60% from total amount of room billing inclusive of taxes as retention. In case of cancellation of individual rooms from 04 days to 02 days before the check-in of the booking, the management reserves the right to charge the individual 80% from total amount of room billing inclusive of taxes as retention. 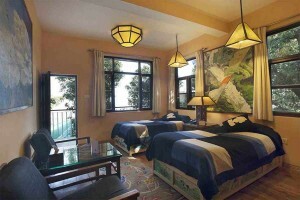 There is plenty to do and see in McLeod Ganj and its vicinity. Hop aboard the Kangra toy train or take a taxi down to the town of Palampur, known for its tea gardens. Enjoy the views of verdant fields, the majestic Dhauladar mountains, and quaint villages along the way. Baijnath Temple dedicated to Lord Shiva, Tibetan settlement Tashi Jong, Taragarh Palace, and Dongyu Gatsaling Nunnery are just some of the stops you can make en route. Kangra Fort, Vajreshwari Temple, the rock cut temples of Masrur, and Tatwani Hot Spring are some sights you might be able to cover in a day trip to the Kangra Valley. Gyuto Upper Tantric College, Gyuto Monastery, and Dolmaling Nunnery can be covered in half a day with a delicious momo meal included in the tour! The closest airport is Dharamsala which is around 18 km (appx 45 mins) away. During the rainy season, regular flights to Dharamsala might be affected. In such cases, you can opt to fly up to Jammu or Amritsar and then drive to Dharamsala. 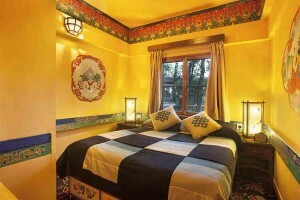 From Jammu, the distance to McLeod Ganj is 190 kilometres (appx 4 hours). 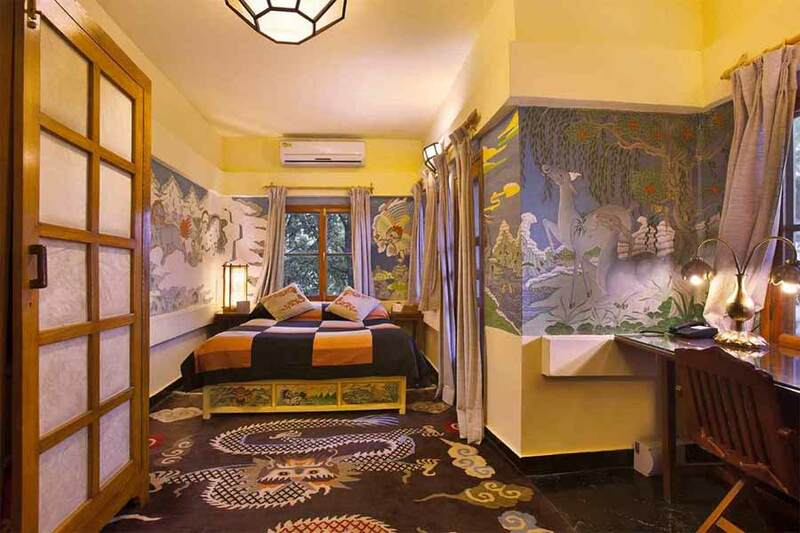 From Amritsar, this homestay is approximately 207 kilometres (appx 4.25 hrs).